A social icons listing with copyright text, also supports adding menus. Perfect for adding contact information to webpage footers. Socialinks can easily be downloaded from inside WordPress using PageLines Platform 5. 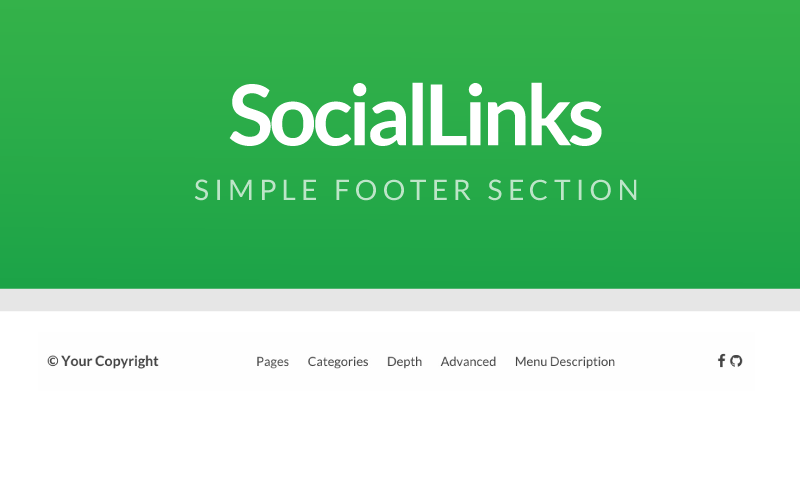 Click ‘Plugins’, and find your Socialinks plugin (titled PageLines Section Socialinks). 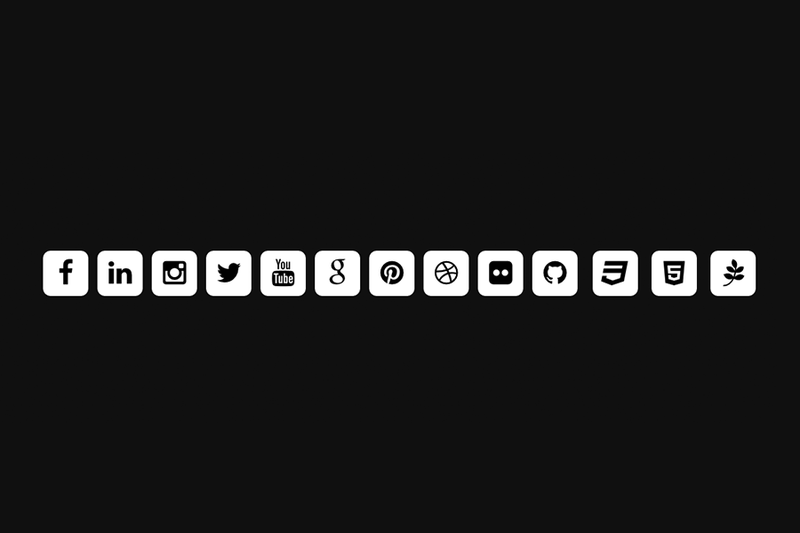 Go to your PageLines Builder where you will now find PopThumbs in the ‘Social/Local’ section. As with all section, the Socialinks section includes the Standard Section Options such as padding/margin, background options and etc. Enter text to display your copyright information or any text you like. 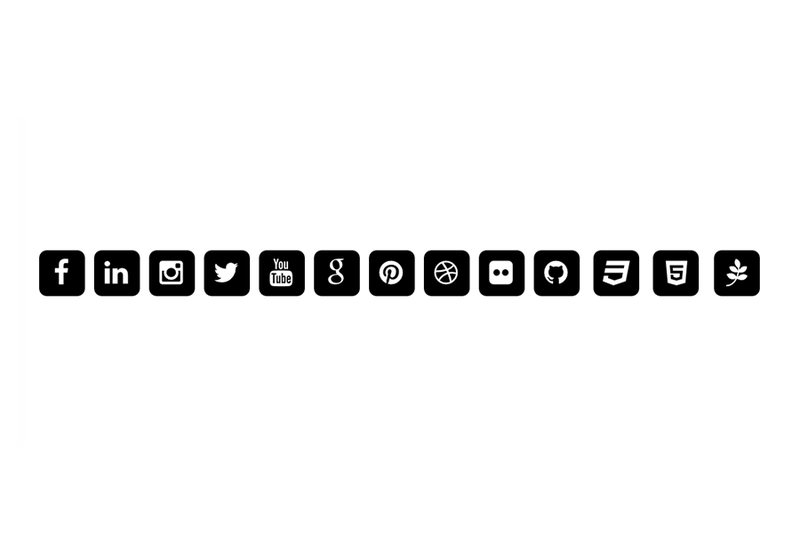 You can use HTML Special entities to display symbols such as copyright and etc. Icons are displayed to the right of the section. Select an optional menu from the drop-down menu, this will be displayed in the center of the section. Disable Menu, disable/enable the menu.